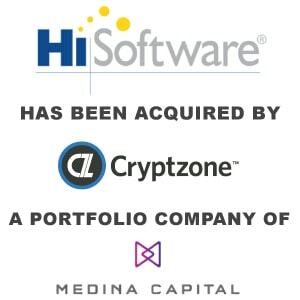 Cryptzone Acquires HiSoftware - Berkery, Noyes & Co., LLC. Boston, MA (PRWEB) September 05, 2014 – Cryptzone, a global provider of data security and identity and access management (IAM) solutions, has acquired HiSoftware Inc., a leading provider of governance, compliance and security solutions. HiSoftware’s product portfolio provides a highly complementary set of solutions that will enhance Cryptzone’s already robust capabilities in securing critical data in the cloud, on mobile devices, and in customer data centers. The combined company will offer a complete suite of context-aware access control, data security and compliance solutions designed for today’s dynamic, mobile, cloud-centric enterprise IT. Cryptzone will be headquartered in Boston, Massachusetts and have a European center of excellence in engineering located in Gothenburg, Sweden, its birthplace. Combined, the companies will have more than 700 customers including large global enterprises like JPMorgan Chase, Northrup Grumman, AIG, Proctor & Gamble, State Street Trust, New York Presbyterian, ANZ Bank, and California State University, as well as some large U.S. government agencies such as the Departments of Commerce, Department of Homeland Security, Office of Secretary of Defense, and Department of Treasury/IRS. Cryptzone will look to integrate HiSoftware’s advanced suite of solutions, including its Compliance Sheriff Web, Security Sheriff and Site Sheriff products, into the company’s existing product set. This will provide expanded and unique capabilities that will allow the company to deliver powerful security that protects enterprise information assets, corporate applications, and other network resources for customers around the globe. HiSoftware’s compliance product allows enterprises and government agencies to validate compliance of internal and external website content against predefined and user-defined policies, including HIPAA, FISMA, WCAG, US Section 508, and GLBA. The company also specializes in delivering content security and site management solutions within Microsoft SharePoint, a business collaboration platform utilized by more than 80 percent of the Fortune 500, and other unstructured collaborative environments. As part of the acquisition, HiSoftware’s CEO, Kurt Mueffelmann, will be named CEO of the combined entity. Mueffelmann has over 20 years of experience in the software industry and has led HiSoftware to steady growth since 2006. Mueffelmann’s leadership and expertise has earned two companies under his charge, including HiSoftware, a spot on the Deloitte Fast 500, a revenue-based awards program honoring the top growing technology companies. Cryptzone is a portfolio company of Medina Capital, a high-growth equity investment firm focused on the IT infrastructure sector. Headquartered in Boston, Cryptzone provides access control and data security solutions for the way business works today, enabling enterprises to securely connect and collaborate in a world of cloud apps, mobile devices and ubiquitous mobility. Cryptzone designs solutions that are barely visible to users, yet afford powerful, context-aware security that protects enterprise information, applications and services. For more information, visit http://www.cryptzone.com. HiSoftware provides end-to-end information security and compliance solutions to help organizations address business process, regulatory and productivity concerns around the secure collaboration of data in content management systems and social environments. HiSoftware solutions add a layer of security at the content level to enforce data and web governance policies and improve collaboration, while minimizing risk on a wide range of digital environments including SharePoint, file shares, enterprise social systems, mobiles, intranets, extranets, public websites and the cloud. HiSoftware is a Microsoft Gold Application Development Partner with over 1,000 customers across a broad range of industries including Global 2000 companies, higher education, and US and international government agencies. For more information, visit http://www.hisoftware.com. 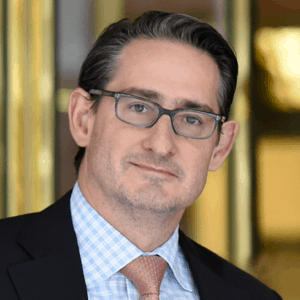 Medina Capital is a high-growth equity investment firm focused on IT infrastructure companies in areas such as cloud computing, cybersecurity, big data, software-defined security and software-defined networking. The firm’s philosophy emphasizes investing in high-growth companies with established products or services that will benefit from Medina Capital’s strategic guidance. For more information about Medina Capital, please visit http://www.medinacapital.com.